Patent Registration Services offered are handled by experienced industry professionals who look after legal and technical aspects of involved matters. We offer our clients consultancy on Patent Registration Services. It provides legal protection to the patentee. 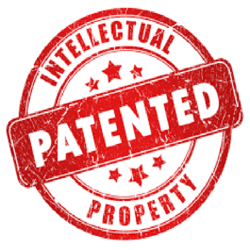 We are a trusted service provider of Patent Registration Services to our highly honored clients. A patent is a grant from Government, which conferson the grantee for a limited period of time, the exclusive priviledge of making, selling and using the invention for which a patent has been granted and also of authorising others of doing so. M. P. Mirchandani & Co.
Patent is a legal right enjoyed by the applicant on the monopoly of making, using or selling an invention. The patent is provided for a certain pre-defined period in the countries where it can be granted. We assist our clients by providing them with advice on the requisite conditions for the patent and also undertake the documentation for the same. - of the invention, description of the invention should be duly mentioned with desirable and appropriate information about the product or process.